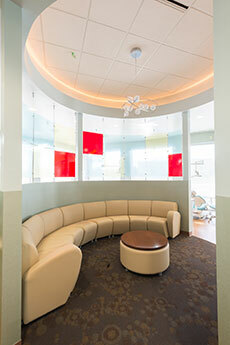 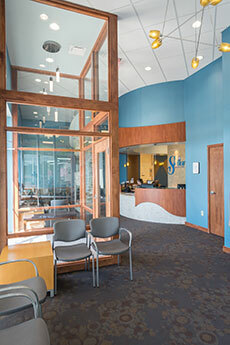 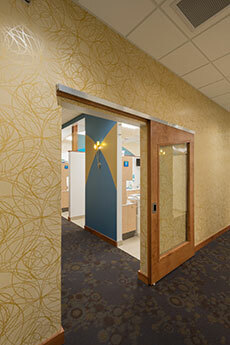 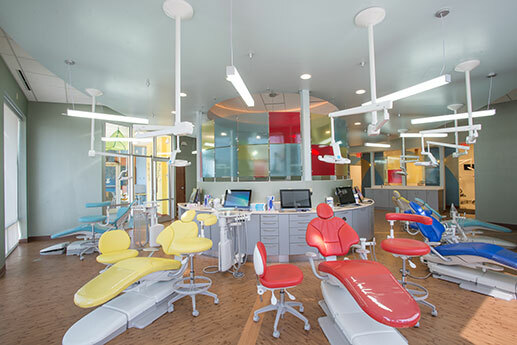 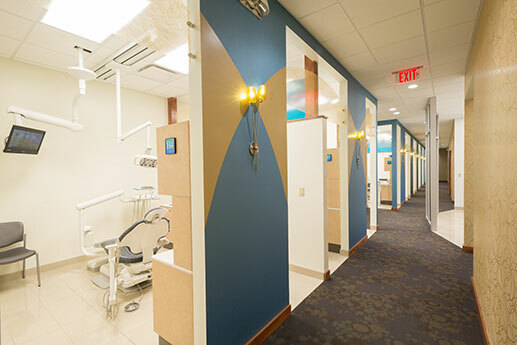 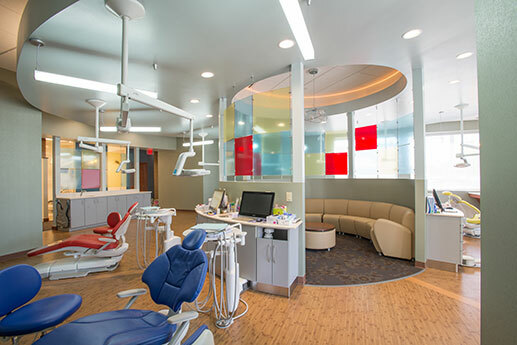 smartDESIGN did the interior build-out and interior design of a 6,800 s.f., dental office. 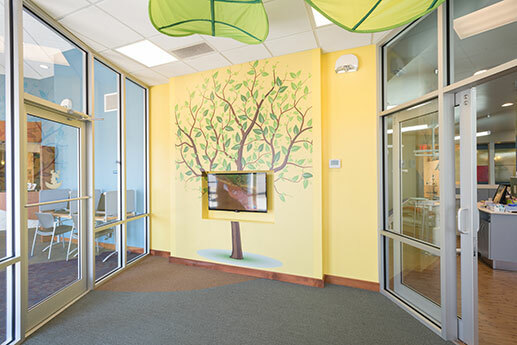 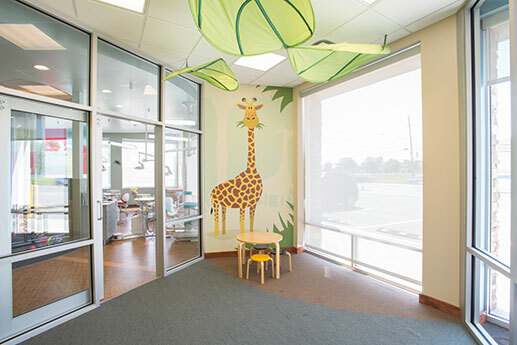 The layout includes five hygiene rooms, seven operatories, and a pediatric bay with eight chairs and a dynamic parent lounge. 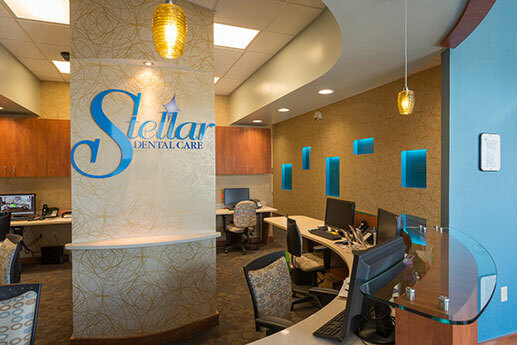 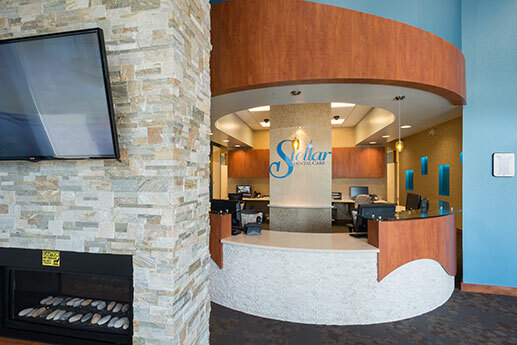 As the fourth location that we have designed for Stellar Dental, this project includes space for new services and extends and reinforces the architectural brand that has been developed.